Merlin Spencer, editor of the News-Miner during early pipeline days, was on the phone. “How soon can you get over here? The reporter on the police beat has left and we need someone to fill!” It was April Fool’s Day. And not a joke. I was an “on-call” reporter and headed to the office. I hadn’t done the police beat but was quickly inaugurated. In those days, the reporter went to every office: state, city police, court house daily reports, court hearings and cases. The police blotter, or daily reports, was one of the first things I checked. I was initiated quickly. Soon I got to know the chiefs, assistants, deputies, FBI, judges, jail staff — the whole bit. It was fascinating and one of the most interesting jobs I’ve ever had. That day they had the first bank robbery in 10 years. Such an April Fools’ Day. It was a few months before Merlin found a replacement for the job, and I was sorry to leave, although when he hired me I was assured it would be for only a short time. It was one of the best spent times of my life. I acquired a huge respect for the police and the courts. I was working on a graduate degree and education was on my mind. The enormity and gravity of the importance of those who deal with crime, and the law, convinced me that every high school student should have, as part of his/her curricula, “the police beat” for a few days in a senior semester. The public has no idea of what goes on “behind the scenes” at this level of our community. Really. 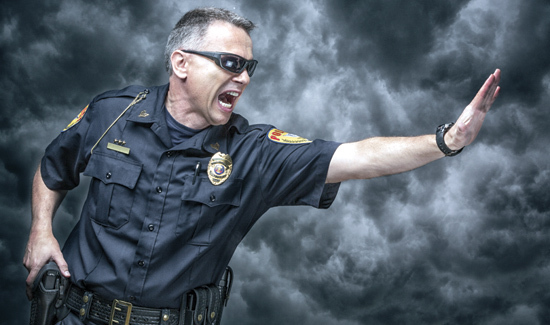 Without the people who work to keep order and deal with individuals whose intend to do, or those who do those terrible things — murder, attack, steal, rob — without the police and associated law enforcement agencies, the extensive organizations that keep them running, and our courts — our lives would be mayhem.